Bridgespan is a global nonprofit organization that collaborates with mission-driven leaders, organizations, impact investors, and philanthropists to break cycles of poverty and dramatically improve the quality of life for those in need. To address the complex and persistent challenges facing Chicago, we need to attract, develop, and retain first-rate leaders who will build high-impact organizations and advance innovative solutions. 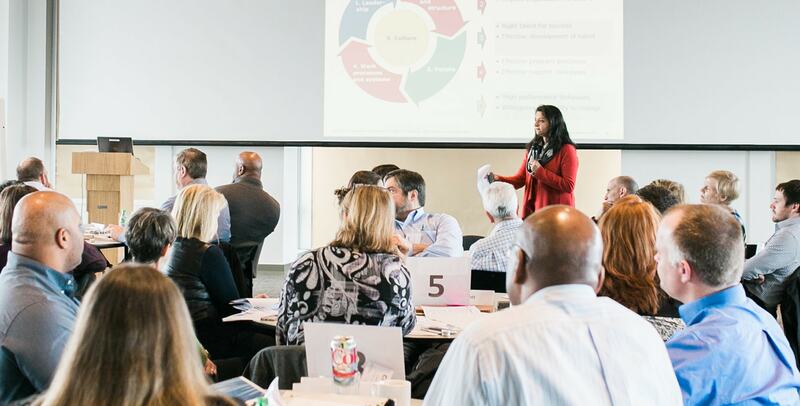 In collaboration with other local and national foundations, the Pritzker Traubert Foundation partners with Bridgespan to help 50 Chicago nonprofits and more than 200 leaders increase their impact and leadership capacity by the end of 2021. LISC equips struggling communities with the capital, strategy and know-how to become places where people can thrive. LISC currently operates in nearly half of the city’s communities with more than 70 organizations. The Pritzker Traubert Foundation is partnering with LISC to develop a capacity-building program for emerging minority developers and promising community-based organizations that have the potential to be critical change-makers in their community. CCA partners with civic and business leaders to develop and implement solutions to some of Chicago’s most important issues. The Pritzker Traubert Foundation supports CCA’s efforts to provide pro bono support to cross-sector projects in education, criminal justice, public safety, and economic vitality. Established in 1991, Chicago Cares mobilizes volunteers to build a stronger, more unified Chicago. Last year, Chicago Cares worked with 88 corporate sponsors, 249 community partners and nearly 20,000 city residents to complete 2,184 projects in 56 Chicago neighborhoods. The Pritzker Traubert Foundation supports Chicago Cares initiative to expand corporate-community partnerships.